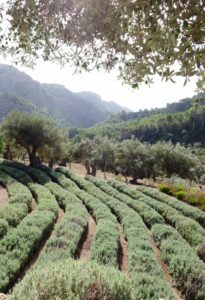 Alexander of Mashamba Garden and Terrace Design has been pondering sure fire ways to keep the free-ranging wild goats of Mallorca’s Tramuntana mountains out of the gorgeous gardens he designs for some time. I asked Alexander why goats had, ahem, got his goat. Let’s hope it doesn’t. Although they’re pests and carry nasty ticks, goats are part of the beauty of the Tramuntana mountains. Their tenacity is also kind of admirable. 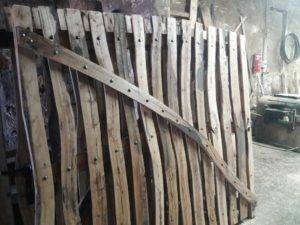 So, while it is possible to go on an organised goat-hunting excursion in Mallorca, I’m sure most gardeners would prefer to admire them from afar or, at least, outside the fence. When you consider the way in which goats can invade gardens in the Tramuntana mountains, it’s fitting that their presence on the island is the result of what’s called a ‘bioinvasion’. Back in the mists of time, experts think the Neolithic period, goats were introduced to Mallorca by people settling on the island to provide milk, meat and skin. Somewhere along the way, Mallorca’s goats – found only in the Tramuntana and Artà mountains – became free-ranging. They also interbred with the existing wild goat population. I was curious to find out if one of these was Mallorca’s most famous goat, the myotragus or mouse goat which died out 3000 years ago. 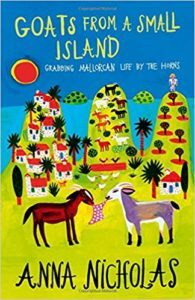 Soller valley-based author Anna Nicholas wrote a book about myotragus, aka the Balearic Cave Goat or Mallorca Mouse Goat, called Goats from a Small Island (2009). 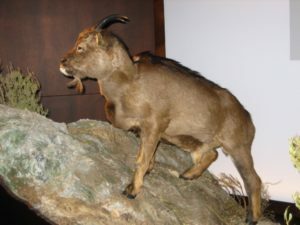 She tells me that the remains of the original Mallorca Mouse Goat are on display at London’s Natural History Museum, where there’s also an exhibit dedicated to English fossil hunter Dorothea Bate, who discovered myotragus’s remains in 1909. Anna doesn’t think the mouse goat interbred with domesticated goats as it was the only species of goat on the island at that time. The domestic goats were brought to Mallorca by man some time later. If you’d like to talk to Mashamba about garden or terrace design, please contact Alexander here.